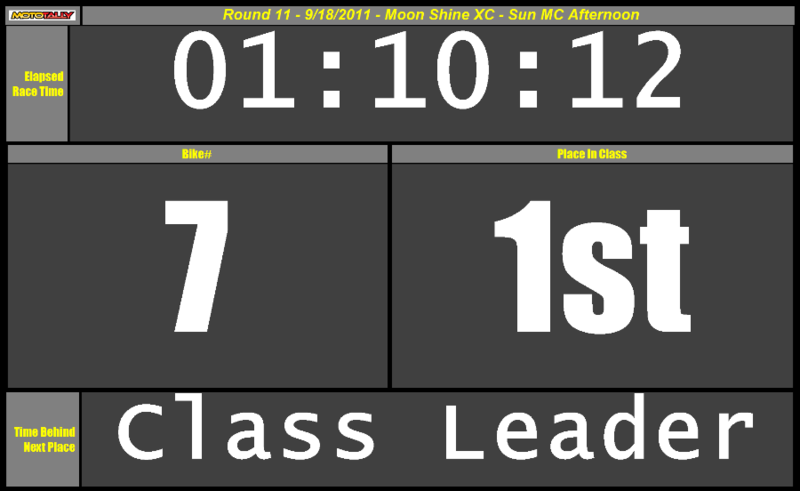 MotoTally Event Scoring Software allows you to score any type of race using manual (keyboard) data entry only. But if you really want to streamline the scoring process, utilizing some form of electronic data collection can really speed things up! Not only is your staff freed up to attend to other tasks, but you can all but eliminate typos and human error. This means you can get your results posted quickly and error free. Your racers will love you for it! 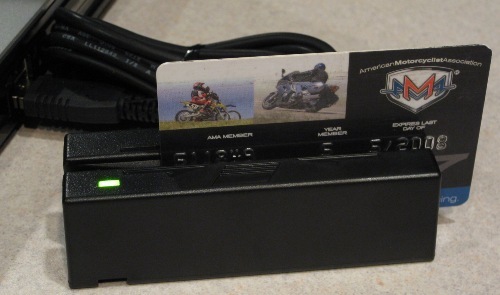 For a very small amount of money, this magnetic stripe card reader can turn your signup line into a smooth operation! Just swipe the rider's AMA Membership card and he will either be found in the database as an existing rider, or be added as a new rider. If the rider already exists in the database and has a valid Bike# and class, all you need to do is hit enter! 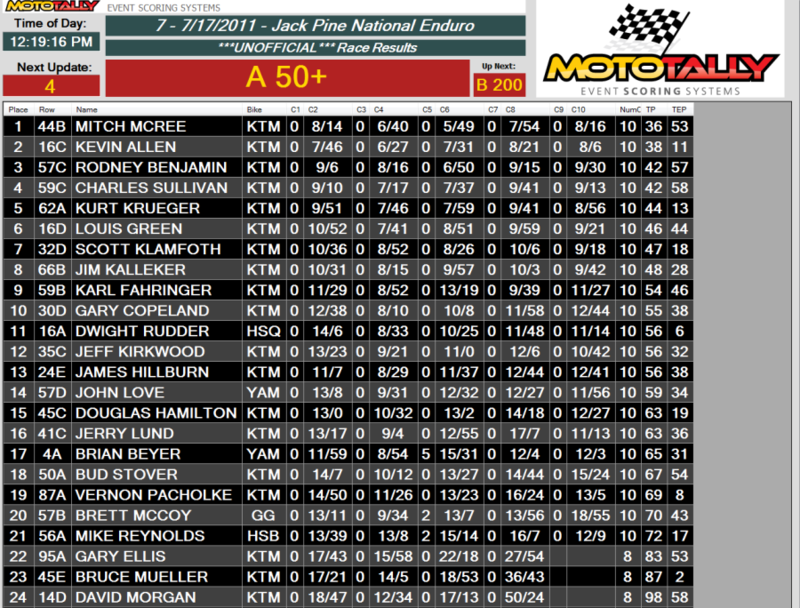 If the rider is new, all you need to supply is Bike# and Class and you are done! RFID stands for Radio Frequency IDentification. 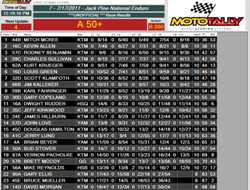 It works great for automating the data entry requirements of scoring a motorcycle race! Each of your participants gets an RFID Transponder (sometimes called a tag). You associate that tag with the rider in the signup process. 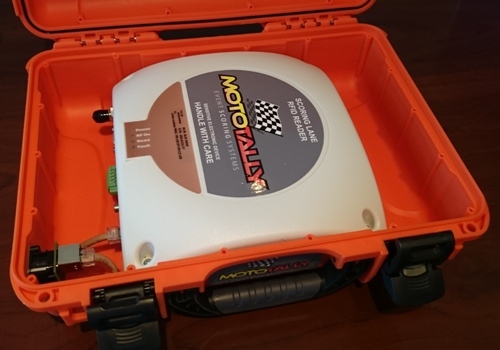 Set up a CheckStation at your finish line or check points, and let the RFID technology work for you! This technology really shines when you have lots of racers, or mother nature rains on your parade and number plates and bar codes become covered in mud. All the fancy software and hardware in the world is great for the promotor, but if the rider doesn't ever get to see any of that, what is their perception? Sure their results are posted quickly and accurately, but wouldn't it be great if they got some real-time feedback on how they were doing? Without a rider information display, the only person that knows everything is working the way it should is the person sitting in front of the computer. 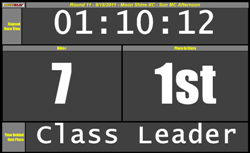 Get a rider information display and not only will riders and spectators get to see what is going on, but they will also be provided with some very useful real time results! 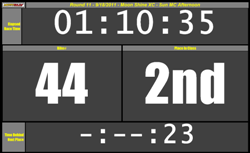 Yet another way MotoTally helps you get the word out on the results... Use the MotoTally ScoreBoard software to display REAL TIME results on a big screen! All you need to do is supply a flat screen LCD HD TV! With the price of the flat panels dropping greatly over the last couple of years, you can now get into a sizeable display for cheap. 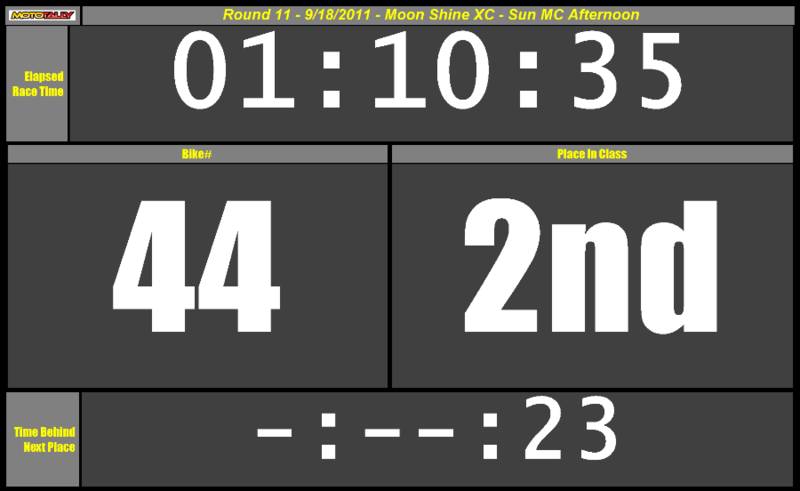 MotoTally BigScreen ties into the MotoTally database and gets all kinds of good stuff out to show to the riders and spectators.